Heath Ledger is The Joker in The Dark Knight Batman Movie. 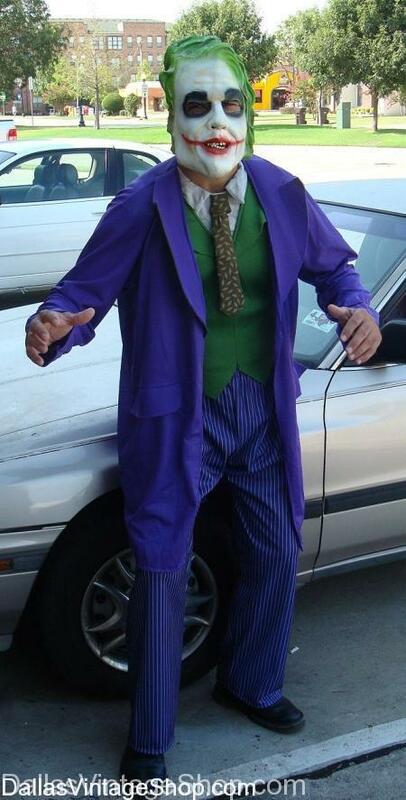 Dallas Vintage Shop can help you assemble a very high quality Joker Costume or we have an economy version. You may just want to pick the pieces that you need to complete your own Joker Costume. By the way, We can put together the Joker Costume from past Batman Movies too. You are in Joker category.